One of the region’s oldest wineries still in operation is Linganore Winecellars, tucked away on one of the rolling hills on the outskirts of Mount Airy, Maryland. It celebrated its 42nd birthday on March 25, and you’ll be hard-pressed to find 10 others on the East Coast that have deeper roots. When Sarah O’Herron and Ed Boyce decided to start their own vineyard, they were business consultants and wine lovers — but they didn’t have any first-hand experience with the business of making wine. The wineries of the Legacy Wine Trail are pleased to be a part of the Maryland Wineries Association, which strives to support a sustainable wine community throughout Maryland, and to grow its impact on agriculture, tourism, preservation and economic development. Maryland Wineries Association, a non-profit, member based, trade association, represents more than 80 wineries across the state. MWA’s mission is to cultivate a sustainable wine-growing community by expanding agricultural products and by increasing awareness through special events, industry education, advocacy, promotions and tourism. Please visit www.marylandwine.com for information about Maryland wineries, trails and industry news. This is the second annual “Maryland Wine Month” showcasing local wineries and encouraging people to visit them. A month-long celebration to recognize Maryland’s vineyards and their award-winning products raises a glass to the state’s wine industry. “You guys kicked off and opened the door to the craft beverage industry in the state,” said Mark Newgent, Office of the Maryland Governor. “You are so important to our agriculture, entertainment, and tourism industry again. We are so glad to kick off Maryland Wine Month. There are more than 80 wineries spread across Maryland, offering a wine for every palate. A vibrant and important industry dating back to 1648. Hidden Hills Farm and Vineyard is one of a handful of regional wineries that has opened to the public and started to build a clientele without a tasting room. So far, almost a year in, the winery just outside Frederick, Maryland, has found that setup to be working just fine. General manager Barbry Williams said on the phone late Saturday afternoon that the winery is available by reservation for tastings from Fridays through Sundays, and visitors can also take a tour of the barn, part of what’s essentially a 103-acre horse farm, and vineyard at noon Saturdays and Sundays, weather permitting. Those who desire a tasting outside those days can email Williams at Barbry@hhfav.com and she’ll work to accommodate you. Maryland Governor Larry Hogan today issued a proclamation to kickoff Maryland Wine Month. Wineries across Maryland are joining together to host special events, offer unique culinary pairings, and participate in the Wine Month Challenge. Maryland Wine Month is held annually as a partnership between the Maryland Wineries Association and the Maryland Office of Tourism, a division of the Maryland Department of Commerce. The month-long celebration will help fuel Maryland’s economy by attracting visitors, which leads to increased hotel bookings and spending at restaurants and wineries throughout the state. Maryland’s wine industry continues to grow each year and acts as an incredible tourist destination, hosting 300,000 visitors annually, and benefitting Marylanders by contributing more than $4 million in taxes back into our economy. Residents and visitors alike are encouraged to raise a glass to Maryland Wine Month by participating in the Wine Month Challenge. Challenge cards are available at any local winery, Maryland Welcome Center, or by downloading it online at marylandwine.com or visitmaryland.org. Uncork the month and fill your challenge card with winery stamps by visiting as many wineries across the state during the month of March. Prizes vary by the number of stamps earned, with a grand prize winner of a Maryland Wine Lovers Weekend for 2. New this year is the launch of the Legacy Wine Trail, Maryland’s 8th wine trail. The newest wine trail promotes wineries in Prince George’s County and Charles County, bringing together Southern Maryland agricultural heritage and the new legacy of its fine wines. There are currently four wineries forming this trail – Gemeny Winery and Vineyards, JaneMark Winery & Vineyard, Robin Hill Farm and Vineyards, and Romano Vineyard & Winery. The official debut celebration will take place March 17, and feature an open house at each of the four wineries, tastings of five wines and a souvenir gift. Visitors are encouraged to share their Maryland Wine Month experiences on social media using the hashtags #mdwine, #savormaryland, and #MDinFocus. For more information on Maryland Wine Month, Wine Month Challenge or Legacy Trail, visit www.visitmaryland.org or call 1-800-719-5900. The Maryland Office of Tourism is an agency of the Division of Tourism, Film and the Arts within the Maryland Department of Commerce. Visitors to the state spent $17.3 billion on travel-related expenses in 2016. The Maryland tourism industry also generated $2.35 billion in state and local taxes, and provided Marylanders with more than 146,000 jobs with a payroll of $6 billion. For more information, visit www.visitmaryland.org. 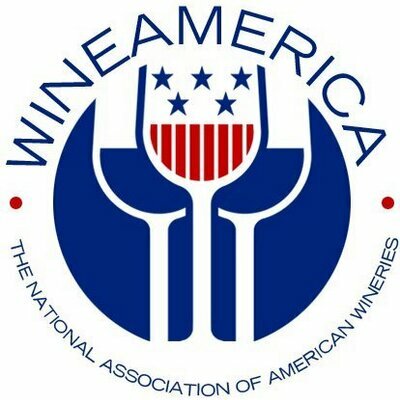 The Maryland Wineries Association, formed in 1984, is the non-profit trade association that represents the 80+ wineries in Maryland. The MWA is made up of a board of winery owners – and over 80 members representing wineries and associate members from across the state. MWA’s mission is to develop and expand the grape and wine industry in Maryland – through education and promotion. MWA is represented by the management group, Grow & Fortify. For more information, visit www.marylandwine.com.